A small brush fire that was ignited around 7:30p.m. in the San Pablo Area on Monday, June 30, 2014, did not seem to be a threat at first, but by the time the San Pedro Fire Department arrived and set up their equipment, residents in the area had grown alarmed. The brush fire started in an empty lot adjacent to the Ambergris Stadium and behind a few homes at the entrance of the San Pablo Area. At first it did not seem to pose any threat to nearby buildings but after a few minutes the fire grew bigger and started to alarm the neighborhood residents. The fire truck arrived about 30 minutes after the call was made to the department, by that time the fire had grown substantially. In a highly contested pageant, five beautiful ladies native of Caye Caulker competed for the title of Miss Lobster Fest at the opening of the island’s Lobster Festival that took over the weekend. The pageant was held on Friday evening, June 27, 2014, in which Miss Lobster Fest 2013 Sherylee Dawson invited the large gathering under the main festival tent to sit back and enjoy a wonderful program that the Caye Caulker Lobster Festival and contestants had proudly put together. Competing for the title of Miss Lobster Fest were Veida Gomez, Jessica Tzalam, Gleselie Chan, Britany Ysaguirre and Jolene Williams. The contestants were judged on beauty, poise, clarity, creativity and individuality throughout the pageant in five segments that included their introduction, costume, Depiction of lifestyle on Caye Caulker, Evening Wear and the Question & Answer. San Pedro Junior Sailing Club is set to host the Belize 5th National Ranking Regatta this weekend in San Pedro Ambergris Caye, Belize on Saturday, July 5 and Sunday 6. The sailing club has been dominating regattas around the country so far in 2014 and this will the their first ever regatta in their home turf. This regatta with be the fifth Belize Sailing Association (BzSA) ranking regatta. All sailors interested in competing in the BzSA nationals must attend all national ranking regattas. The 2014 sailing season consists of nine regattas of which six are considered national ranking. National ranking determines the sailors who will participate in the National Champions Regatta (BIZ14) that is scheduled for November 8 and 9. Thursday, June 26, 2014, families and friends gathered at R. Angel Nunez auditorium to support and celebrate the Isla Bonita Elementary School’s Fashion Fiesta. It was an end of the year summer send-off and fundraiser for the school’s students. Hosts of the night Standard Five student Gaven Zapata and his grandfather Angel Nuñez kicked off the show as students entertained friends and family by throwing a fun fashion show showcasing the latest in sports, beach and evening wear from local stores and boutiques. The fashion fiesta had many dance and song performances from the island’s best talent: Elina Palma, Neslen Rivero, San Pedro Dance Academy and San Pedro Revolution Dancers. The San Pedro Lobster Festival and San Pedro Business Association would like to take this opportunity to thank each and every sponsor, business, individual and participant that made this event successful this year. To everyone who pitched in the San Pedro Lobster Festival; we made a highlight in announcing the opening of the lobster season every year we see more people joining and attending the event. To all those who participated in the day and night events for the Lobster Crawl, operated a food/drinks booths, donated prizes for the Lobster Crawl Raffle, sponsors, judges, media, crew and organizers a big THANK YOU to all. We had some huge wind this week, but our anglers and guides made the best of it. We practiced our casting out on the platform and tried to keep it together out on the flats. Some made the best of the situation by switching to spin which made the day fun. Remember it’s the salt. All of your experiences add up and make you a better angler. Reading fish and working with your guide all adds to self discovery. You find what you enjoy and what you don’t. Laura, thank you for celebrating your birthday with all of us. Deb and Jan – you get the “casting queen” award. Janet also tried casting fly casting and learned to compliment herself on the good casts and learn from the ones that weren’t so perfect. It’s looks like the wind is lying down. Let’s see what tomorrow brings! Thank you to all of our guests this week. It was a pleasure to share our waters with you. Cornerstone is having a Summer camp, and it starts on July 7th. Call them at 633-4654 for more information. 'A Sleeping Beauty' ballet will be performed tomorrow night at the Jaguar auditorium.. If you like classical and modern ballet, the show starts at 6:30pm. The new trail at Big Rock Falls, which was built with the help of several Sacred Heart Junior College students, is holding up well. 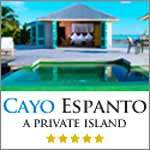 It's in great shape, and allows easier, safer access to one of Cayo's best attractions. Pictures on fb. Tonight, Vanessa Champagne Paris is in jail at the Hattieville Prison - all because she threatened Caleb Orozco's sinister. Last night, we told you about the domestic incident which landed the transgender male in lock down at Police Precinct 2. Well, today she was taken to court on criminal charges - and no one wanted to bail her - and so she has been remanded. Though she goes by the name Vanessa Champagne Paris, her given name is Perfilio Rodriguez, and he is originally from Independence Village. As we told you, Caleb Orozco's sister, Golda had an argument with Vanessa Champagne at the Orozco house where Vanessa has been a guest. Because of Golda Orozco's report, Vanessa Champagne was charged with aggravated assault, and she was arraigned today before Magistrate Herbert Panton. As we told you, her legal name is Perfilio Rodriguez, a male, but the police prosecutor introduced her to the court as a female. On last night's news, we told you about the 3 shootings and 1 stabbing which took the lives of two Belize City men and left 2 others hospitalized - all within 72 hours. But the city violence didn't end there. There was a shooting, which happened just after news time last night, which has claimed the life of a 17 year-old man from the Lake Independence area. It happened on Brown Street, right behind the CB Hyde Government Building, and our news team arrived on the scene shortly after. Daniel Ortiz has the story: Daniel Ortiz reporting 17 year-old Myron Smith lay on the ground lifeless where he fell. He was fleeing from the shooters who attacked him, but he did not make it far. He was riding his bike on Brown Street, and he was in the company of 2 other companions. When they passed by the Complex Basketball Court, his assailants took aim at the crowd and fired 4 or 5 shots in their direction. Today, police have released their findings about the death of 23 year old Independence resident Jeffery O'brien. As we told you, he was mauled and killed by two vicious pitbulls sometime late on Friday night. There was speculation - including one that aired on this channel - that the dogs were owned by Minister Joy Grant who has a home near where the mauling occurred. But police today confirmed that the dogs are actually owned by a 17 year old who lives in a small house on her property, but outside of her fenced yard. Police today sent out a statement, saying, quote, "Minister Grant is not under investigation regarding this incident since it has been determined that the dogs do not belong to her." End quote. Police now have possession of the dogs. For the past two days - users of BTL's broadband service have been taken back to the early 90's - a time before the internet. That's after both DSL and 4G services have become thoroughly unreliable, leaving users in an electronic abyss, unable to surf the net, or even check emails. It's caused major business bottlenecks, personal inconvenience, and don't even talk about the Facebook and WhatsApp withdrawal! So what's behind it? And is BTL to blame? Well, today the company held a press conference to say it isn't - and that's because their servers are under attack by international hackers. For those not familiar with the technology, those servers connect you to the internet. Well, in an attack, hackers blitz BTL's servers with requests, overloading them, thereby killing your internet service. Who's behind it - and when will it end? Those are the questions we asked at a press conference this afternoon:.. Kevin Hope, Chief Technology Officer - BTL "What we have been having over the last few weeks has been a number on these servers and what has happen is that the attacks have pretty much overwhelm these servers to the point where they have created a large load on these servers to the point where they are not able to properly process the requests that are coming from our customers." Yesterday, a few funeral attendants stumbled upon an old grave in the Lord Ridge Cemetery which seems to have given way over time. Inside, they discovered a human skull, which most likely belongs to the person who was buried there. But on the slim chance that it belongs to someone else, police have taken an interest to verify its origin. Today, the Deputy Commander of Police Precinct 2 spoke to the media about it: ASP Calbert Flowers - Deputy OC, Police Precinct #2 "A team of police officers was dispatch to the Lord Ridge Cemetery where they did indeed observe a tomb that was broken. The Officers observed a skull indeed and that information is being investigated. It will be follow up to see if it is indeed a skull that was buried there officially or it is something that has been placed there afterwards." 71 year-old William Anderson, a resident of Monkey River Village, died in a traffic accident yesterday morning when his van had a head-on collision with a school bus. The accident happened at around 7:30 on the Savannah Road, about a mile from the intersection with the Southern Highway, which leads into Toledo. Police say that the bus was in its correct lane, and then suddenly, Anderson's van swerved in the wrong lane and slammed into the bus. He was trapped inside his vehicle, and a fire truck had to be used to separate his vehicle from the bus. He died as a result of his injuries. There were reports of passengers from the bus who received minor injuries in the crash. Belmopan Police are reporting tonight that they have almost 1 kilo of marijuana which they found in Teakettle Village. Yesterday, officers from that police station went to the house of a well-known drug trafficker in the village. Nothing incriminating was found on the suspect's property, but nearby, they found 2 black plastic bags of cannabis to a total amount of 893 grams - or just under 2 pounds. Because they drugs couldn't be tied to the suspected drug trafficker, it was deposited as found property. Manatee's have been much in the news recently, and none of the news has been good. There have been 14 manatee deaths reported this year - and then there was that female that was drowned during a mating frenzy 2 weeks ago. But tonight the news is a little more encouraging. A stranded manatee calf was rescued near mile 6 on the northern highway yesterday. Jamal Galvez told us about it... Jamal Galvez, Manatee Expert "Once we went there we saw the calf there. We observe the area first to make sure that the mother or no adult Manatees are around because we wouldn't want to pull a calf away from its mother. Once we did that we realize that this calf was orphan, it was there alone. It was beaten up against the shore line. Last night, we told you about how 2013 National Road Champ, Byron Pope, couldn't defend his title in this weekend's cycling race. He also won't be able to represent Belize in the Glasgow Commonwealth Games. What we didn't tell you was how Sunday's race played out. After riding from Orange Walk through Hattieville Boom Junction, all the way to Mount Hope in the Cayo District, Nissan Arana of the Predators Team became the 2014 champ. He rode the 114 mile race in 4 hours, 40 minutes and 14 seconds. Seasoned race observers say that Byron Pope's absence was one of the factors at which Sunday's race was ridden. In the female category, Shalini Zabaneh won her sixth national road championship. Zahir Figueroa of Cayo High Road team won the junior championship and Robert Liam Stewart of the Benny's Megabytes team won the masters division. And before we end our newscast tonight, we must make a clarification to a story we aired on Friday Night. We said that the party thrown for 96 year-old Alfred Pandy was thrown by Scotia Bank. It was actually done by First Caribbean International Bank in Belmopan. Four persons were injured in a traffic incident that involved a bus and a motorcycle. Correspondent Fem Cruz reports. FEM CRUZ “A road traffic accident on the George Price Highway has left four persons injured. Love news spoke to the driver of the bus, 25 year old Ivan Valencia resident of Corozal town, who explained to us that frightening moment.” IVAN VALENCIA “Just about ten minutes to six o’clock I noticed that there was a grey minivan and a motor cycle heading the same way en route to Belmopan. I saw that the minivan braked immediately in front of the motor cycle. The cyclist tried to avoid colliding into the minivan by swerving into the left hand side of the road. The weather was dark and wet and as the motorcyclist tried to maneuver to avoid colliding into the van he had trouble maneuvering his motorcycle. At the same time, at a distance, I noticed this incident and I gently tapped my breaks so as not to slide off the road and having something worse happen and I started to gear down. On June 13 Justice Courtney Abel lifted the injunction Government had sought, preventing BYGEA from planting corn within the buffer zone at Harmonyville. According to BYGEA’s attorney Audrey Matura Shepherd the acting solicitor general Nigel Hawke made errors when he did not serve President of BYGEA Nigel Petillo with a notice of the injunction. Both parties were back in court today. AUDREY MATURA SHEPPARD “What people need to understand is that the government has sought three main things. A declaration that they are the owner of the land, a declaration that my clients don’t have a right to be on said land and they are bringing a case of trespass. They are saying that Mr. Petillo and Mr. Sam Patton trespassed on the land but the irony of it is that they are saying that Mr. Petillo trespassed but through BGYEA which is an association which by law has its own provisions whether they can be sued or sure and so it will be interesting what the legal arguments will be. So that’s what the government is seeking. Now our part is to show that those declarations that government is seeking is not right and should not be granted and also to dispute the issue of the trespass. I am yet to sit down with my clients as to all the evidence that we have but we need it to come today for the first part, the new dates, so we know when to proceed. On Friday we reported that long time PUP supporter and political aspirant Martin Cal was removed as a candidate from the PUP slate in Belmopan for the upcoming municipal elections. This is after reports that Cal had been implicated in wrongdoing in the Auditor General’s preliminary report in the ongoing Immigration scandal. The report states that Cal signed a recommendation for one Simon Troung stating that he knew Troung for one year. The Auditor General found that Martin Cal committed a prosecutable offense by signing the recommender form. Today his brother, Moises Cal resigned as Chairman of the Western Caucus. Cal says he thanks all six Standard Bearers who placed their trust and confidence in him and wish them well in the challenging times ahead leading to Municipal and General Elections. Cal ends by saying he remains committed to the People’s United Party. Twenty year old Steve Moss, a construction worker of Queen Charlotte Street in Belize City was charged in connection with the shooting of 40 year old Walter Beaton when he appeared today before the Chief Magistrate, Anne Marie Smith. Moss was charged with use of deadly means of harm and wounding. He was remanded into custody until August 27. The incident occurred on June 13. Beaton was involved in a dispute with a woman near the corner of Kraal Road and Caesar Ridge Road and left riding on his bicycle when, shortly thereafter, he was shot in his left hand by a man who rode up near him on a bicycle. Beaton jumped off his bicycle into a drain and remained there until the police arrived. Nineteen year old Aaron Flowers, a tour guide of Antelope Street Extension who police reported they busted at check point, was charged with two counts of drug trafficking when he appeared today before Magistrate Herbert Panton. Flowers was also charged with bribery of a police officer, using an unlicensed motor vehicle, driving a motor vehicle without being the holder of a valid driver’s license and driving a motor vehicle not covered by third party insurance. He pled not guilty to the charges. Police say on Saturday the searched an abandoned lot in Belama Phase One which led to the discovery of a black and brown travelling bag which contained 11 black plastic bags of cannabis amounting to one thousand one hundred and sixty eight grams of cannabis. A second search this time in an overgrown area by a drain on Antelope Street Extension resulted in the discovery of a black plastic bag containing 145 grams of cannabis. Both discoveries were labeled as found property. At about three thirty this morning Belize City Police responded to a shooting incident on Faber’s Road. There they came upon a Green Mazda taxi car that had crashed into a nearby drain. Later they found out that the driver of the car, 31-year-old Albert Castro had been shot twice to the head. NCO of the Criminal Investigation Branch at Precinct 2, Sgt. Ismael Westby, told us what their investigation has revealed so far. Forty-eight year old Modesto Lizarraga, a bus driver of Santa Rita Road, Corozal Town, was charged with manslaughter by negligence in the death of 63 year old Jose Elmer Villanueva, a.k.a. “Pantas” when he appeared today before Magistrate Herbert Panton. Lizarraga was also charged with causing death by careless conduct and driving motor vehicle without due care and attention. No plea was taken since the offences are indictable. Lizarraga was released on a bail of two thousand five hundred dollars. His next court date is August 25. The incident occurred on February 25, 2014, between miles 12 and 13 on Phillip Goldson Highway. According to reports, Villanueva fell out of a passenger bus driven by Lizarraga. Villanueva, a tire repair man who resided on Cleghorn Street in Belize City, sustained injuries to his head and died five days later at the Karl Heusner Memorial Hospital. At approximately 8:00 tonight, a crowd of curious onlookers gathered near the basketball court in the rear of the Charles Bartlett Hyde Building, as the body of a young man lay on the ground. The body was barely visible from the roughly 75 feet distance away, where it lay in a yard off Mahogany Street, on which a police scenes of crime vehicle, an ambulance and other police vehicles were parked. Police searched in the low grass with flashlights for whatever evidence they could find that would assist them in solving this latest murder, the third in the city over the last 48 hours. At press time tonight, preliminary reports to Amandala are that Myron “Saddest” Smith, 17, was shot multiple times and died where he fell in a yard immediately west of the neighborhood basketball court, which lies just a stone’s throw from Smith’s house. The nation’s premier telecommunications service provider, Belize Telemedia Limited (BTL), has indicated to us that for nearly two weeks now, it has been grappling with external attacks on its servers – attacks which have hampered customers’ ability to browse the Internet, with problems particularly on Google and Yahoo, which means that customers have even experienced delays receiving e-mails on these platforms. Dr. Dionne Chamberlain Miranda, General Manager of Customer Services, told us while (Digital Subscriber Line ) DSL customers have been impacted, so too have 4G customers, who also use the data service platforms, and cable companies, such as CBC, which buy Internet from BTL. Winston Aspinall, BTL’s General Manager of Network Services, said that there was another attack on the system at about 9:00 this morning, when they observed that the usage level on the Internet servers was very high, because the attacker was sending random invalid queries to the system, which slowed down things for all other users. The O’Brien family of Independence is mourning the death of Jeffrey O’Brien, 23, who was viciously attacked and killed by three dogs, two of whom are ferocious pitbulls, while he was riding his bicycle to his home, from the lagoon, on the public road in Independence. Jeffrey’s brother, Police Constable O’Brien (no first name given), told Amandala that at about 10:30 Saturday night, Jeffrey came in from fishing, pulled up and secured his boat by the lagoon, and was riding home on his bicycle with his fish, net and his paddle, when three dogs rushed out of the unfenced yard of Wilson Hernandez, 27, and attacked him. O’Brien tried to defend himself, and hit the dogs with his paddle, but it broke, and the dogs – two pitbulls and a large “potlicker” – tore off his shirt and mauled him, biting his face, throat, hands, chest, and other parts of his body. Police say that at about 5:30 Saturday evening on Flamboyant Street, Malcom Jamal Wagner, 24, was standing near a lamppost waiting for someone when a vehicle drove up and stopped near him. A man came out of the car and began firing at him. Wagner tried to escape, but he was hit multiple times. The killer then got back into the car, which drove away. Wagner, shot five times in the back and chest, died within a short time. Wagner’s grieving grandmother, Evadney Welch, said that he was in their house watching the World Cup games that Saturday evening when he received a phone call from a girl, telling him to meet her by the lane. Wagner, she said, got up out of the sofa with the TV remote in his hand and walked out of the house, to the lane, to meet the person who had called him. The Maya of Toledo will have their first indigenous lawyer serving in Belize. She is Monica Coc Magusson, 34, sister of Cristina Coc, who is a lead activist in the Maya land rights movement – a movement in which Magusson herself has been quietly involved for several years, having done much of the legal leg work even while training at a US law school. Coc Magusson was today called to the Bar of Belize after Chief Justice Kenneth Benjamin accepted a motion filed on her behalf by Senior Counsel Antoinette Moore, who handed over to Coc Magusson her black robe that is over 20 years old, perhaps symbolic of the role that the newcomer will now play as a part of the legal defense team for the Toledo Maya – a role which Moore has led since the first Maya land rights case in 2007, when Chief Justice Conteh ruled favorably in the first Maya land rights case filed for Conejo and Santa Cruz. Moore told the court that Magusson is the first indigenous Maya from Toledo to have completed law school, to obtain a legal education certificate and to now be called to the Bar of Belize. Belize has assumed the pro tempore presidency of the Central American Integration System (SICA) at the 43rd meeting of the Heads of State and Governments of SICA, held at Punta Cana, Dominican Republic. “Already, I think it is clear and a fact that is increasingly recognized by the world at large, that our Central American countries, our SICA countries, punch above their weight. It seems to me that it is indubitable that this SICA movement will grow from strength to strength,” said Prime Minister Dean Barrow, after receiving the baton from Dominican Republic president, Danilo Medina, whom Barrow praised for the work during his presidency from January to June 2014. “We recognize that there are very many challenges to face, but president Medina has conducted such a successful presidency that I am encouraged, since he has publicly and privately in the exchange of words between us just now, reiterated his commitment to give me his manual for success, and I am greatly comforted that all I have to do is to faithfully follow that manual and I will achieve the same success,” Barrow commented. Belize’s natural wonders, such as the Blue Hole Natural Monument near Half Moon Caye, attract numerous visitors who sometimes travel thousands of miles to view those spectacles, but while engaging in that experience yesterday, one tourist sadly lost his life, apparently due to respiratory complications. 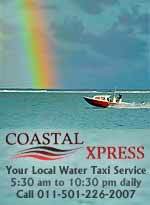 Yesterday morning, at about 6:25, a group of 19 tourists, including Larry Smith – a visitor from the United States – left from Ramon’s Village dock in San Pedro en route to the Blue Hole Natural Monument, which lies within the atoll lagoon of Lighthouse Reef, about 75km east of Belize City, when tragedy struck. According to boat captain Marcus Alamina, the dive master and tour guide, they arrived at the diving site at about 10:00 a.m., and upon arrival, he gave a briefing and then separated the divers into two groups. BAHA is cramping the import business at the Santa Elena border. A normal order from Merida, where most of our goods come from, takes three working days. You place your order Monday, they load Tuesday, and Wednesday your goods are at the border. Belize Agricultural and Heath Authority (BAHA) wants 4 to 7 days to process a permit for shelf stable goods; imagine, table salt, which for many years before BAHA existed needed no permit. If your goods arrive and the permit is not ready, you can import the goods but with a hefty fine of $200, plus the $25 which is charged for the permit when you apply for it, plus inspection fee $150 + $30 overtime, which is almost sure. Whenever one examines the present socio-political reality of Belize, it behooves one to consider the historical context of the settlement of Belize’s birth, and the fact that it was and is an anomaly – the only English-speaking territory on the Central American mainland. The relevant countries immediately around us – Mexico, Guatemala, Honduras, and Nicaragua, were all imperial outposts of Roman Catholic Spain. Nicaragua is a bit of an exception to the first named three, because there is an English-speaking area in Nicaragua, which is called Bluefields, and the British played a significant role on Nicaragua’s Atlantic coast centuries ago. The story of British collaboration with Nicaragua’s Mosquito people has not been explained in sufficient detail in Belize. Britain controlled the Bay Islands – Roatán, Utila, etc., which eventually reverted to the sovereignty of the Republic of Honduras. And Great Britain interfered in the politics of Guatemala (and Central America) during the 1820s and 1830s when Central America was in violent turmoil. Dr. Jerome Straughan’s research establishes that Belizeans have been paying attention to the United States of America from as early as the post-Civil War period. During the course of the United States Civil War, which lasted from 1861 to 1865, President Abraham Lincoln declared Emancipation, which is to say, the African Americans who were slaves were freed. Some Belizeans (British Hondurans at the time), and Belizeans were mostly of African descent in the second half of the nineteenth century, began to venture to the United States, mostly through the port of New Orleans. There were mahogany and other hardwood exports from Belize going to New York and Boston, but the colonial tariff structure of British Honduras made it difficult for American manufactured goods to compete with British ones in the colony. The Prohibition era in the United States, between 1919 and 1933, meant that there was money to be made by Belizeans transporting alcohol from British Honduras, where it was legal, to the Gulf ports of the United States, where Prohibition had declared alcohol illegal. The Prohibition era was a preview of the marijuana era in the 1960s/1970s and the cocaine era, from the 1980 onwards, when the profits to be made from shipping an illegal commodity into U.S. markets were such as to tempt Belizean entrepreneurs to become gangsters. It has only been 2 weeks since my husband and I and our 2 children moved to Ambergris Caye; where it seems everyday is an adventure. Sunday morning was no exception. A friend of mine had just called to ask if I wanted to go to Caye Caulker for the last day of Lobsterfest on her boat. For some reason I declined. I would get together with her next time. This is not like me, I am usually very random, spur of the moment, get up and go kind of girl. I do believe that everything happens for a reason; maybe I was meant to stay on the island today! The morning began with my regular routine. Coffee on the patio of our condo south of town, overlooking the lagoon on the right and the pool out front; beautiful! Palm trees swaying, birds chirping and a nice breeze. So peaceful here, sometimes I have to remind myself that we have moved here; it feels like we are still on vacation. Belizean wins first Houston Caribbean Queen Pageant: Congratulations Rheisha Shol! The first Houston Caribbean Queen (HCQ) Pageant, billed as “a cultural, educational, and festive event that seeks to celebrate the talent and intellectual abilities of young Caribbean women” was held on June 28, 2014 and it seems only fitting to us that the very first HC Queen is a talented young Belizean, Rheisha Shol. Rheisha was born in the national capital of Belmopan and moved to Houston, Texas with her family, where she currently attends Texas State University. In addition to possessing poise and the other qualities judges were looking for, Rheisha is obviously one intelligent young woman, having graduated in the top 10% of her high school class, winning numerous awards and serving on the cheerleading squad and as vice president of the graduation class, according to the HCQ website, which also tells us she has been active in various school and community organisations. Amarabi Seasonings and Marinde is a unique blend of traditionally used herb and spices, locally found in Belize. It is a complete seasoning, flavorful, consistent and ready to be used on poultry, beef, pork, seafood and other meats. One of the features that make Amarabi’s products unique is the 100% Natural no MSG element. The business is owned and operated by Mrs. Laura Raymond, who became a client on May 3rd, 2013. Through SBDCBelize Ms. Raymond managed to register her business name. She also received guidance in areas of product labeling-as per national standards. 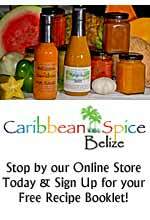 The Label has been approved by the Belize Bureau of Standard. Ms. Raymond has received guidance and advice on intellectual property rights- trademark, and on Good Manufacturing Practices (GMPs) and Standard Sanitation Operating Procedures (SSOPs), two certifications that are critical to ensure food safety in agro-processed goods. Mad Media Solutions is owned and operated by Mr. Francisco Madrid. The business was registered March, 2013. It provides “innovative ID solutions”, as well as Biometric systems to monitor and consistently sustain security issues in organizations. Mr. Madrid became a client of the Centre on March 2013, and since then has actively sought advice from his primary adviser in areas of financing options, product development, business plan development, investment and market research. As a result of his proactive commitment, and focused advising from his assigned advisor at the Centre, Mr. Madrid has managed to successfully source financing for the growth and improvement of his business venture. Bella Dees is a home-based business that produces multi-purpose natural, handmade, aroma therapeutic soaps, with 8 vegetable oils and fresh Belizean healing herbs. In addition to soaps, the business makes aroma therapeutic massage oils. It guarantees to provide a 100% natural, healing and aromatherapy benefits, safe for the skin; gentle for the entire family and pets; easy on the environment, and no animal testing. Experience the benefits of aroma-therapy in a practical way. Their unique formulas leave no residue on the skin. The oils used are chosen based on the special qualities they bring to the soap such as the ability to moisturize and soften skin and the type of lather they produce. Since all the soaps use only natural products and retain all the glycerine produced during the saponification process, they have a softer, creamier consistency than regular commercial, synthetic soaps. So yummy, you may never want to leave the tub again! CRAVINGS AND WHERE TO GO! Belize Proves "Good Things Come In Small Packages"
The ex-British colony, lodged between big brother Mexico to the north, the jungles of Guatemala to the south and west, and nestled on the world's second largest barrier reef to the east, offers a wide range of exploration to satisfy all travelers. Belize may pack in more flora, fauna and diverse natural beauty per square mile, than any nation on the planet. Roughly 60% of Belize is forested. For many visitors a trip to the Belizean rainforest is the trip of a lifetime. 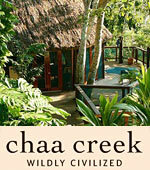 Bring your binoculars to the jungles of Belize as it is a bird watcher's paradise. There are over 600 different bird species, roosting high above in the majestic forest or along rivers and lagoons. If you're lucky, you just might catch a glimpse of Belize's national bird, the keel-billed toucan, or Belize's national animal, Baird's tapir. Although, many times elusive, keen eyed eco tourists, can view: spider monkeys, howler monkeys, peccaries, coatimundis, gibnuts, and other animals that never been seen or even or heard of by the tourist. On rare occasions, one can even view the nocturnal jaguar. The country is also home to 4,000 species of tropical flowers, including 250 kinds of orchids. When the body of a 47-year-old Polish woman living in Tompkinsville was discovered in an alleyway behind a movie theater on Coney Island Avenue in 2005, it sent chills through the Polish community on Staten Island and left behind a mystery with few answers. Several of her close friends interviewed by the Advance at the time said they wondered what happened, who did it, and why. Now, nearly nine years later, police say they finally have a suspect in custody. Michael Young, 39, of Brooklyn, was arrested Tuesday in New York for the 2005 murder of Zofia Rogowicka, 47, according to an NYPD spokesman (Police spelled the victim's name "Sofia Rogonicka," but multiple articles refer to her as Zofia Rogowicka). The same turquoise waters that lure tourists to Caribbean destinations slosh around Belize's island chain. But tiny Belize has a major advantage in reeling in the holidaymakers — spectacular Maya ruins tucked away in lush jungle. The nation is home to more prehistoric buildings than modern-day ones, according to its Institute of Archaeology. That ancient appeal draws in backpackers eager for adventure as well as divers ready to gawk at its bustling reefs or plunge into its famed Blue Hole. Belize has all the ingredients for a surf and turf vacation — at least for those who don't mind the odd giant cockroach or neon green frog that may invade their jungle dwellings. CAVES, SKELETONS AND A SWIM Evidence of human sacrifice in Maya times litters the floors of the Actun Tunichil Muknal caves, where the skeletons are welded in place by limestone sediment. Mayan pottery is also frozen in time there, with archeologists opting to leave most artifacts as they were centuries ago. To get to the caves, visitors are led down a gentle jungle trail that includes several river crossings. Next, comes an invigorating swim across a frigid pool of water at the cave's mouth (which is patrolled by a resident vine snake). Water winds throughout the cave, and visitors have to squeeze through impossible-looking openings before being rewarded with the archaeological trove. But don't expect to plaster social media with photos documenting the adventure. Clumsy tourists — including one who left a camera-sized hole in the skull of a sacrificed child — led to a ban on cameras at the site. Bill and Ginny Davenport recently moved from Clovis to Belize in Central America in search of better health. They’ve written a letter about their new lives and asked it be shared with their old hometown. This is part two of four: Let us tell you a little about the country: They have a rainy season from June to December. One minute the sky is clear and sunny, the next sunny or cloudy and it is raining for about 15 minutes. Almost everyone carries an umbrella, either for the sun or rain. The temperature ranges from 80 to 100 degrees. Belize City is the largest city, but also the dirtiest, and 99 percent of crime is there. Not a place you want to live. Everywhere in the country you will see horses tied along the road eating. This is how most people feed them. You will also see many partially finished houses. This is because they start building a house and when they run out of money, they stop and continue when they have some more money. A lot of these homes have mold coating due to the lack of maintenance, the heat and moisture. Short-term fiscal liquidity pressures have subsided following the debt restructuring. The lower coupon rate has provided the sovereign with ample breathing room and greater fiscal space. The authorities remain committed to maintaining a primary surplus of approximately 1% of GDP over the medium term, and expect that fiscal dynamics will improve as the economy recovers. Near-term fiscal pressures remain manageable, even though domestic oil production is declining rapidly. We believe that there are downside risks to fiscal performance over the next 2-3 years related to continued uncertainty on various fronts. Importantly, elections are scheduled for March 2017 and we expect fiscal easing ahead of the vote. Fiscal revenues may not respond as forcefully as authorities expect to tax measures that are planned to be implemented in 2014- 15. The next general election coincides with the first step-up in the coupon rate on the restructured bonds. The ongoing litigation on the nationalization of the electric (BEL) and telecom (BTL) companies could result in a fiscal cost of anywhere between 6% and 30% of GDP depending on valuation estimates. 5 Amazing Experiences Every Traveler Must Try! Snorkeling in Belize With knockout beaches on Ambergris Caye, Caye Kaulker, and Placenia, plus inland jungles, 600 species of birds (think toucans and motmots), and Mayan ruins, Belize is paradise for landlubbers. But nothing beats exploring the blue sea and getting up-close-and-personal with the underwater residents on a snorkeling adventure. 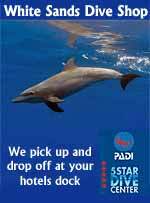 A visit to the five-square-mile Hol Chan Marine Reserve with a good outfitter will include all snorkeling gear and the chance to hobnob with colorful coral, angelfish, grunts, snappers, rays, nurse sharks (it's okay, they're harmless! ), and maybe even a manatee from June to September. Video: Choosing a Tarpon Line, 3min. There are a lot of fly lines on the market, and choosing the right one can be a bit daunting. To make that choice easier, RIO has produced a series of "Choosing" the right line" videos, with the latest one in the series advising on how to choose the right line for fly fishing for tarpon. Filmed in Belize, this short film describes the RIO tarpon fly line options and breaks down the advantages of each one, enabling you to choose the perfect tarpon line for your next trip. 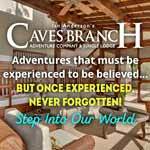 Video: Dark Night Cave | Mama Noots Bocawina Adventures & Eco-Resort (BELIZE), 3min. Video: Belize Zoo 2014 Jaguar Encounter, 8min. 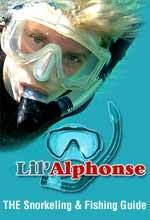 Video: Snorkeling At Hol Chan, Ambergris Caye, Belize, 11min. Winona State Biodiversity of Belize 2014. Video: Belize Jen & Patrick, 7min. Video: Belize whale sharks, 3min. 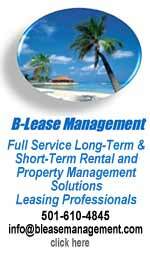 Video: Victoria House | Ambergris Caye Belize Beach Resort, 2min. 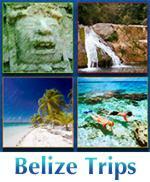 Video: Belize Cruise 2014, 21min. Video: Belize Sundancer II, 18min.